The Estes V2 model rocket kit is a cool looking rocket, the design of which is based on the German World War II rocket of the same name. Even though the V2 Semi-Scale Model kit is labelled as a Skill level 3 model rocket, it’s not the most difficult of the Estes skill level 3 rockets to build and it is a real head turner too. At Model Rocket Store, we like to combine a bit of a history lesson with our model rocket reviews, so read on, and you will find out more about the history of the real V-2 rocket as well as a run-down on the superb Estes scale flying model rocket version of the V-2. 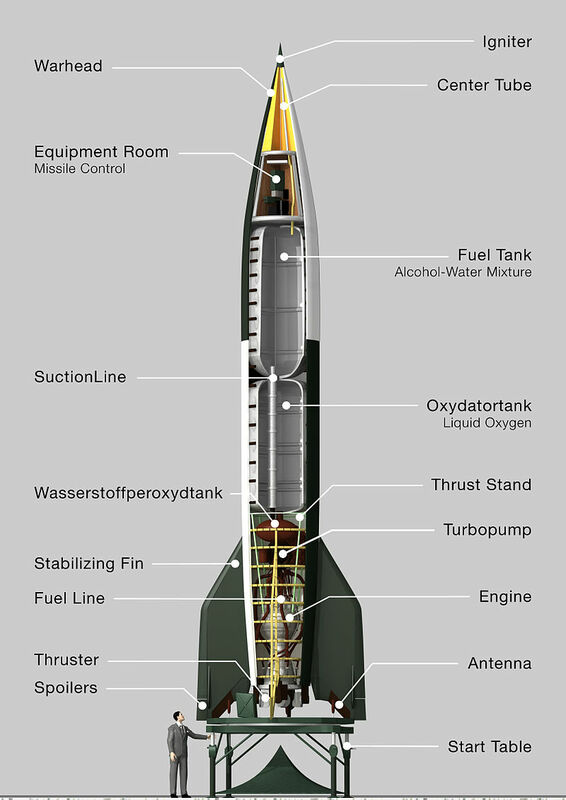 The V-2 was a German missile that was powered by a liquid-propellant rocket engine. It was developed toward the end of the Second World War as the successor to the V-1, which was an early version of a pulsejet-powered cruise missile. The V-2 was known as a “retribution weapon” and it was designed as a weapon to be used to attack Allied cities in retribution for Allied bombings of German cities. 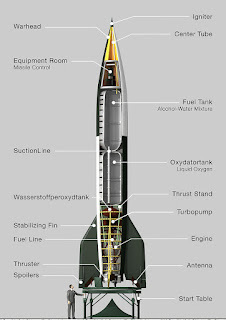 The German word for retribution is “Vergeltungswaffe”, hence the naming of the rocket as the V-2. The rocket’s technical name was the Aggregat 4, or A4. The V2 was the first ever man-made object to cross the boundary of space and it was also the world’s first long-range guided ballistic missile. Whilst we may admire the technological advancements that V-2 rocket represented, it would be wrong of us not to mention the true deadly purpose of the V-2 as a weapon. More than 3,000 V-2 rockets were launched against European targets, including London, Antwerp and Liège, resulting in the death of an estimated 9,000 people. At the end of the war, there was a race between the Allied countries to capture the German rocket technology. Ultimately, a large number of the people who had worked on the V-2 ended up working at the Redstone Arsenal for the US Army. In 1958, the inventor of the V-2, Wernher von Braun, and most of his team, was moved to NASA's Marshall Spaceflight Centre (MSFC), where they worked on the design of the Saturn family of Rockets. 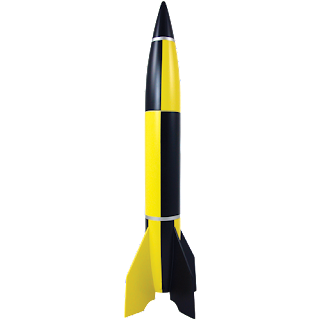 The Estes V2 Model Rocket Kit is an awesome looking rocket that stands at 22.4 inches tall. When it’s powered by an E9 engine, the Estes V2 will reach an altitude of over 700 feet. The V2 rocket kit is a Skill Level 3 kit, so it’s at the intermediate level of model rocket building. That means that it is relatively complex to construct and it will take a few days to put together. It will also need some moderate modelling skills to complete and finish the rocket. To launch the Estes V2 Model Rocket, you will need to purchase a few things separately, if you don’t already have them. You will need a rocket launch system, rocket engines, rocket igniters, recovery wadding and some general modelling supplies including wood glue, plastic cement and sandpaper. An Estes 3/16" Maxi Launch Rod will also be required to launch the V2. The recommend engines for the V2 kit are: C11-3 (First FLight), D12-3, *E9-4, *E9-6. * When launched with E Engines, you will also need an Estes Porta-Pad E and an E Launch Controller. To launch this V-2 model rocket you will need a launch system, model rocket engines, starters and recovery wadding, which are sold separately. Check out the full range of Estes Skill Level 3 Model Rockets here!